Longtime Liberal resident, and community supporter, Virginia Leete passed away Monday morning at the age of 89. 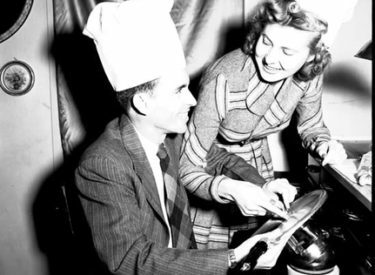 Virginia and her husband R.J Leete were instrumental in founding International Pancake Day in 1950, but also in keeping the tradition alive for 61 years.It all started in 1950 from a magazine picture of the Olney women racing each other to the church. Liberal Jaycee President R.J. Leete contacted the Rev. Ronald Collins, Vicar of St. Peter and St. Paul’s church in Olney, challenging their women to race against women of Liberal. Virginia was a strong community supporter, and could often be seen at numerous parades, Air Museum events, Ozfest celebrations, and many other events throughout the city. She also served on the boards of these events for many years. Virginia was a former employee of KSCB Radio, hosting her own talk show for many years. Virginia leaves behind a loving family who cared for and supported her for many years. KSCB will have a complete obituary when it becomes available.